Synagogue will be open to all wishing to study, pray, and connect to the Creator. On Monday the lighting of the seventh candle of Hanukkah at the Western Wall was held by the Ashkenazi Chief Rabbi of Jerusalem, Rabbi Aryeh Stern, and Mr. Eli Groner, Director-General of the Prime Minister's Office. Immediately after candle lighting a new synagogue was inaugurated in the Western Wall tunnels. The synagogue was donated by the Delek Science, Education and Culture Foundation and Mr. Yitzhak Teshuva and his family. 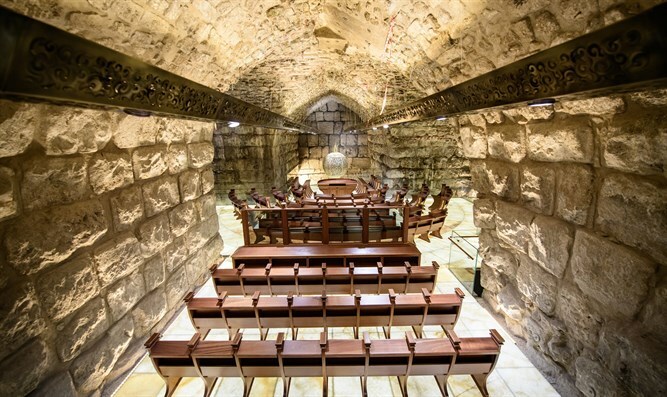 The magnificent synagogue is the result of 12 years of structural support, construction, and archeology work, in which activities were carried out in order to maintain and preserve the impressive cavern in which it is located in the tunnels. 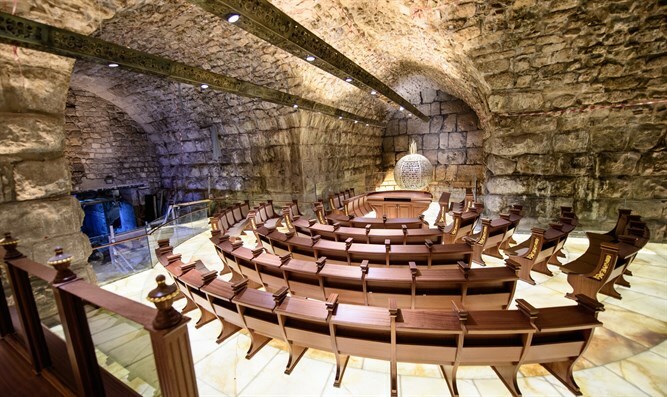 The synagogue is located opposite the 'Great Stone' in the Western Wall tunnels, near the site of the Holy of Holies. 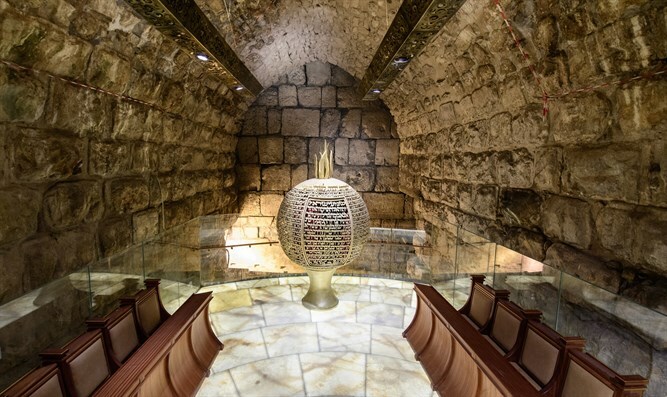 The unique design of the prayer hall combines rare art topped by the round ark made of sculpted metal incorporating the letters of the verses "Shema Yisrael", "Ana Bakoach" and the "Song of Songs" scroll, with a sculpture of the burning bush. The synagogue contains dozens of benches for men and women, a large round wooden bima, luxurious seats, decorations, a marble floor and unique lighting that gives an ancient and traditional aspect to the special synagogue that combines old and new. At the dedication it was announced that the synagogue would be open to anyone wishing to study Torah, immerse himself in prayer, and connect to the Creator in the synagogue. Within several days, the Western Wall Heritage Foundation intends to publicize prayer procedures in the new synagogue, to be published along the same lines as the procedures in the rest of the Kotel synagogues on the website www.thekotel.org.